When Creatix opened its doors 15 years ago, we sought to use a combination of development excellence, product management and stellar visual design to accelerate time to market and deliver business value for fledgling tech startups. By partnering with high-tech, high-growth companies, we would provide the software engineering horsepower they needed to innovate faster and more efficiently. Our talented team members would bring a wide range of technical expertise, embedding seamlessly with existing teams requiring additional capacity or offering an end-to-end, one stop-shop solution. Since then, we’ve struck a nerve in the tech community. We’ve partnered on large projects with many unique clients with some really cool and innovative ideas, and we’ve grown tremendously. Our team now includes more than 85 members across three countries, and we strive to create a culture that supports and inspires them to do their best work. That work includes high-profile projects across fintech, healthtech and other fast-growing markets. While we’ve been fortunate to count many visionary businesses as our clients, one partnership in particular has led us to a new chapter in our story. 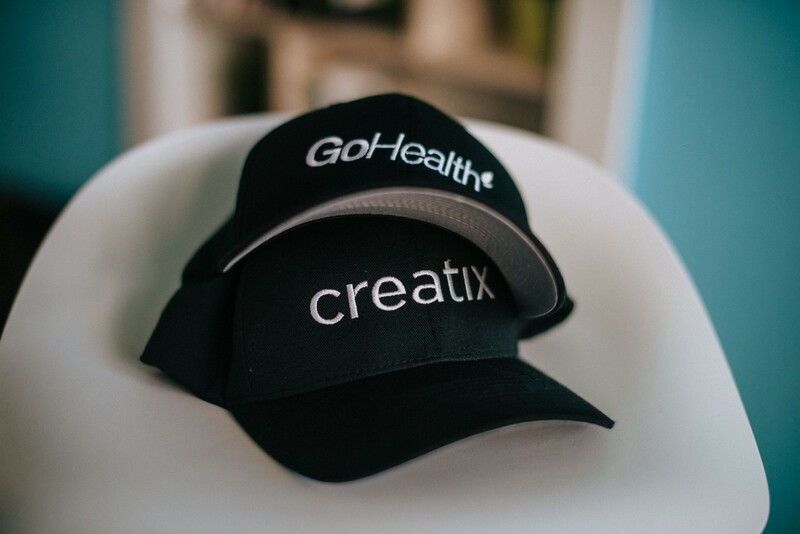 After a highly successful four-year partnership with GoHealth, we’re proud to announce that Creatix is officially joining the GoHealth family. Our acquisition by GoHealth is a testament to the results we’ve achieved together, and is only the beginning of what’s to come. A leading provider in the healthtech space, GoHealth has built a fully integrated platform that allows millions to access affordable health insurance options through a variety of shopping experiences. This platform delivers value to both consumers as well as the insurance companies GoHealth serves. GoHealth helps to create long-term, highly satisfied customers who not only find the best health insurance for them and their families, but are also able to optimize the way they utilize that insurance. The Creatix team has worked side by side with GoHealth to power its growing platform, ensuring that affordable options are always just a click away for GoHealth’s customer base. As GoHealth continues its incredible trajectory, our teams will now work seamlessly as one to meet growing market demand. 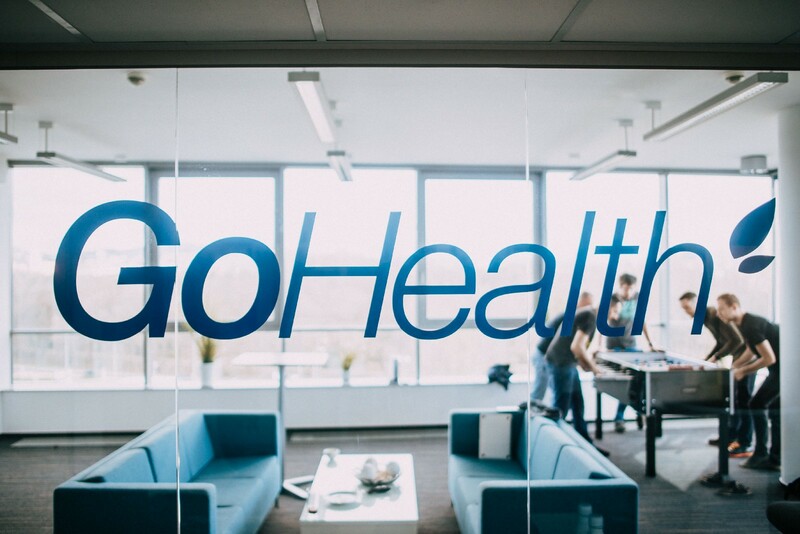 Our mission has always been to accelerate innovation and help clients deliver more value to their own customers, which is exactly what we’ve done and will continue to do for GoHealth. The move also comes at a pivotal time in the healthcare market. With a wave of Baby Boomers seeking to enroll in private Medicare plans to gain better options and value, the need for access to affordable insurance options will only increase in the coming years. Aligning with an industry leader committed to making a positive impact opens up a universe of opportunity for our newly combined team. What does this mean for Creatix? As we embark on this next chapter, Creatix will begin operating under the GoHealth name and will devote our team’s full capabilities to support technical needs across the organization. For our current and future team members, this acquisition offers enormous potential for growth, professional development and career stability. Our engineers will partner with some of the brightest minds in the industry, gain new experience and skills as part of a global team, work with the most cutting-edge enterprise platforms, and then operate them at scale. Together, we’ll continue to build incredible purpose-driven technology that spans across several disciplines, including customer acquisition, marketing automation, artificial intelligence and machine learning-enriched data engineering and analytics. Yet the culture that has defined Creatix from day one isn’t going away. We think of our team as a family, and GoHealth shares our commitment to our most valuable resource: our people. We’re fortunate to now be part of a forward-thinking company that’s committed to investing in the culture we’ve built, continuing to attract the best people and providing ample resources to support their individual success as well as our company’s. While we look to the future, we’re grateful for the opportunities that have brought us here today. Thank you to every client who has entrusted us with their vision and allowed us to help them bring it to life. We plan to continue these partnerships with our clients throughout our transition to GoHealth, and we look forward to seeing what’s next for every innovator we have had the pleasure of working with. We dreamed big when we founded Creatix 15 years ago, yet this new chapter in our story has shattered all our expectations. We’re thankful to GoHealth for their confidence in our team, and we’re excited for what’s to come.